CLEMSON, SC – The Clemson women’s track and field team signed five high school standouts to National Letters of Intent to continue their academic and athletic careers as Lady Tigers, announced head coach Marcia Noad. Courtney Allston, Thea Dix, Sierra Hill, Helen Kirkland and Tia Perry committed to the Lady Tiger track and field program for the 2004-05 season during the early signing period. Allston, from Myrtle Beach, SC, was Carolina Forest High School’s 2003 Athlete of the Year, and was named the Outstanding Female Athlete from 2000-2002. A heptathlete, Allston is a three-time region champion, winning the title in 2000, 2001 and 2002. She has earned four letters in track and field, as well as three letters each in basketball and cheerleading. A native of Ellenwood, GA, Dix was the 2002 4A Georgia state champion in the 800m. 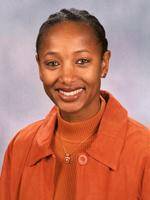 She was named the Atlanta Track Club’s “Track Woman of the Year” for the 4x400m relay in 2001 and 800m in 2002. Dix won the 4A state title in 2001 as a member of Cedar Grove High School’s 4x400m relay team. She was also a member of the 2001 region 5-4A 4x200m and 4x400m championship teams. Dix has earned four letters in track and field, four letters in cross country and one letter in softball. Hill, from Palmetto, GA, is a 12-time state champion, winning titles in the 100m hurdles, 300m hurdles, 4x100m relay and 4x400m relay. She also claimed the region 5A championship in the same events in 2001, 2002 and 2003. A member of Quicksilver Track Club, Hill won the 400m hurdles (young women division) at the USATF Junior Nationals in 2003, after claiming in the intermediate girls’ title in the 100m hurdles and 400m hurdles at the USATF Junior Olympics Nationals in 2002. In 2001, she was one of two hurdlers to break the 400m hurdles national record at the USATF Junior Olympics Nationals. During the summer of 2003, Hill was selected as an alternate for the USATF Youth World Team. At Landmark Christian High School, she has earned four letters each in track and field and cheerleading, and two letters in basketball. Kirkland, from Mt. Pleasant, SC, is a two-time all-state, all-county and all-region pole vaulter. She was named to the Post and Courier All-Lowcountry team in 2002 and 2003, and was the runner-up for the 2002 and 2003 Post and Courier Overall Track and Field Athlete of the Year. In 2003, Kirkland was the South Carolina state runner-up behind current Lady Tiger Beth Jordan. The 2002 and 2003 Wando High School Most Valuable Player set Wando, Tri-county, Lower State and Regional pole vault records a year ago. Kirkland is a a member of the National Honor Society and was the 2003 Yearbook Editor. A sprinter and hurdler from Jonesboro, GA, Perry was the 2003 Georgia state champion in the 400m and as a member of riverdale High School’s 4x400m relay team. She also won the region championship in the 300m hurdles in 2003, after claiming the event at the region meet in 2002. Perry captured her first 400m and 4x400m relay state titles in 2002, and finished fifth at the state meet in the 300m hurdles that year. As a sophomore in 2001, Perry finished third in the 2001 state meet in the 400m after winning the county and region titles. She holds the school record in the long jump, 200m, 400m, 300m hurdles and 4x100m and 4x400m relays. She was named the Most Valuable Performer of the All-Metro team in 2001-2003, and was tabbed the Southside Athlete of the Year in 2002 and 2003. A three-sport athlete, Perry has earned four letters each in volleyball and track, and three letters in basketball.